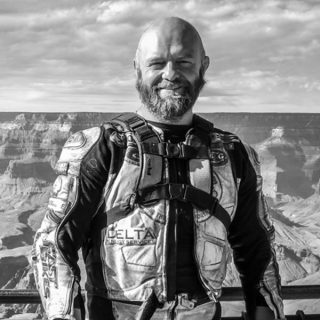 epic motorcycle tours of the UK & Europe. Our aim is to get you to the best roads available, have you grinning from ear to ear each and every day so you are chomping at the bit for your next trip away. If you’re not grinning, we’re not winning. 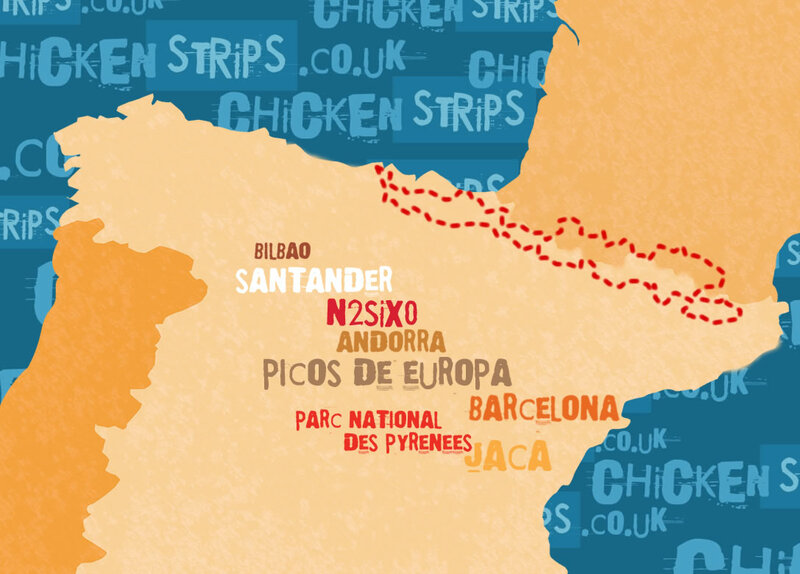 ‘ChickenStrips’ european motorcycle tours are all about enjoying time on your bike, smiles in the miles! We don’t care what you ride, we don’t care what you choose to wear of an evening, just bring your sense of humour & a willingness to explore & we’ll take care of the rest. Check out our 2019 tours to see what takes your fancy! ChickenStrips is the brainchild of Bruce Smart and Simon Clare, both avid bikers who are to be found on two wheels at any time of the year, in any weather. The lads spent many years riding all types of roads across Europe to bring you the best on offer. 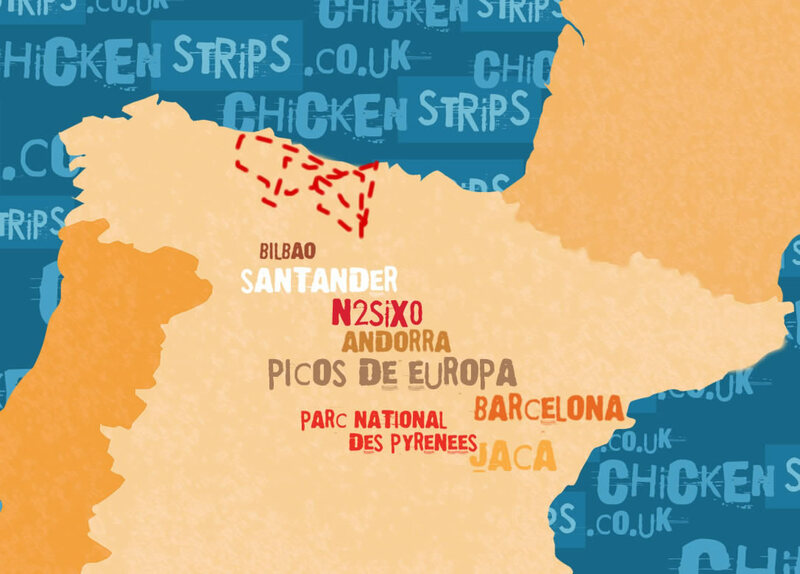 Having seen what’s on offer elsewhere, ChickenStrips is here to fill the void. 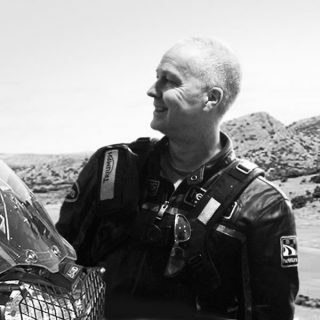 Bruce hails from God’s country up in Scotland, having ridden around the world on a Superbike on his famous TeapotOne trip, there’s not many places he’s not ridden. An established author and cameraman, he’ll capture you’re Chicken Strips adventure on camera, so smile whenever he’s around! When he’s not working at Mr Wonka’s Chocolate factory, Simon spends his life drawing cartoons & is a qualified bike instructor. With nearly 900 years of riding experience, he was riding bikes when they had square wheels! Like a biking Yoda, he’s hard to understand and green, but also a magician on a motorbike, taking beautiful lines he’s a joy to follow. Our customers never go home without a smile on their face and stories to tell. An action packed Adventure from start to finish. Magnificent roads, views and pitstops with the added toppings of great company and banter. Smart by name, smart by nature! Ride-outs with Bruce and Si always put a smile on your face and remind you of how blessed we are to be bikers! Got some lingering questions about life in general, like why do birds suddenly appear, every time we are near? Drop us a line with your query and we’ll get back to you asap with something resembling an answer. Failing that, if you’ve got a question about one of our tours, or even would like a more personal tour constructed just for you, contact us here and we’ll do all we can to help. @MissendenFlyer You going up to Nordkapp?